Over the last decade a distinguished company of Edwards commentators have adopted what may be deemed a “new perspective” on the Northampton sage’s philosophical theology, a perspective that proposes a thoroughly modern foundation for his metaphysics. The Ursprung of the new genesis in Edwards studies may be traced to the work of Sang Hyun Lee on the subject of Edwards and dispositions. Concerning the first claim, Lee argues in good Edwardsean fashion that all things depend entirely on the intervention of God’s causal power. But the whole of Edwards’ ontological causality is to be understood in distinctly dispositional categories. As Morimoto puts it, “If being is essentially laws and habits … then all created entities tend inherently and unceasingly toward actual existence through the immediate exercise of divine power in them.” Morimoto then cites Lee, who writes: “Reality is not something that is achieved once and for all but something that is achieved again and again.” This interpretation is then set forth to explain Edwards’ doctrine of the conservation of matter. An unexercised disposition’s abiding and permanent reality, therefore, lies in its “real possibility” or “virtuality,” though it becomes fully actual when in actual exercise. Lee’s relocation of the metaphysical foundation for Jonathan Edwards finds further (and perhaps disconcerting) application in the soteriological vision of Solomon Stoddard’s successor. For instance, these philosophical meditations figure into a reassessment of Edwards’ biblical anthropology in Anri Morimoto and Gerald R. McDermott’s analogous dispositional interpretation of Edwardsean soteriology. Where commentators Michael J. McClymond and Stephen R. Holmes encounter an impasse in Edwards’ particularist system concerning the place of reprobates and to a lesser degree natural man, Morimoto and McDermott find little difficulty. That is, because of Edwards’ dispositional ontology, Morimoto and McDermott do not see Edwards’ philosophical theology supporting a restrictivist position inclusive of a doctrine of reprobation. Quite the contrary: these commentators opine that in his private notebooks Edwards really was an inclusivist, or at least flirted with possibilities of inclusivism if not hypothetical universalism (Edwards the pseudo-Amyraldian). According to Morimoto and McDermott, Edwards’ public theology simply does not reflect the direction his theology had taken in the confidentiality of his Northampton study. In private, they say, Edwards experimented with his dispositional ontology and the universal implications of Christ’s redemptive work. The implications of Lee’s metaphysical reassessment of Edwards are clear: Metaphysics determines ontology; ontology drives soteriology. Thus fueled by a Lee-inspired dispositional conception of reality in terms of lawlike powers and forces, Morimoto and McDermott follow the logic of disposition wherever it may lead, be it a synthesis with Tridentine theology (per Morimoto) or a clandestine inclusivism, if not “Augustinian universalism” (ala McDermott). For both Morimoto and McDermott soteriology and aetiology are coordinate disciplines: a potentially saving disposition is not unlike Edwardsean dispositions in causality. In a prescribed connection, a lawlike disposition yields its manifestation (D + c ? m). With respect to Morimoto, it automatically yields faith in connection with certain Christian “means,” or in the case of McDermott, even non-Christian means. The latter arguing an Edwardsean prisca theologia hypothesis, namely that God has provided the “heathen” with non-Christian “means and ordinances” to educe an exercise of faith for their justification. 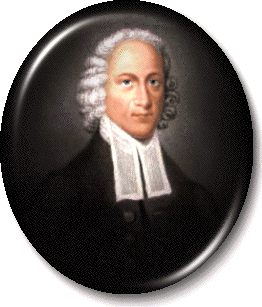 The result: the Jonathan Edwards famed for sermons like “Sinners in the Hands of an Angry God” is not merely an inclusivist, but a hyper-inclusivist if not crypto-universalist, or at least out of his desire to be so he furtively opened a door of opportunity for others. Again, for these commentators, the superstructure of soteriology is supported by the infrastructure of ontology, which itself rests upon Edwards’ metaphysics. And in their reading, a metaphysic of disposition as expounded by Lee. Their refusal to read Edwards according to his admittedly (and one might add, manifestly) confessional theological position. Edwards is much more of a Calvinist than either of the authors allow. Perhaps most importantly, they fail to work with deference to the grand scale and organic nature of Edwards’ theocentric and telic-oriented theological and metaphysical system. At the fore of Jonathan Edwards’ thought—whether exegetical, theological, or philosophical—is a principle of theocentricity. In nearly everything he wrote or preached, from the time of his conversion to the last great work he proposed, God is at center. At first both his Reformed tradition, which stressed that the universe did not run “by chance” but “by God the sovereign disposer of all [things],” and his theological or perhaps pietistic desire to remove the Enlightenment wedge of rationalism from its lodgings between a mechanistic universe and Christian supernaturalism, contributed significantly to his pre-conversion theocentric impulses. He understood that to be a Calvinist was to be a theocentrist: it was just a matter of degrees as to how theocentric one really was. Early on Edwards seems only to have parroted this trait characteristic of his theological tradition. He was more focused on Enlightenment thought than the promotion of God-at-the-center-of-everything. However, following the events of spring 1721, the time when Edwards testifies in his “Personal Narrative” that he began to “see” God’s being, telic purposes, and cosmic design “in everything,” his pre-conditioned, God-centered impulses became to him a permanent, pervasive, and axiomatic mental principle. No longer did he have to reason through the apparatus of logic to ascertain the connection between, say, a flower and God’s purpose and presence with relation to that flower. Now a converted man, he intuitively “sensed” the spiritual reality through which the flower possessed existence and meaning. That reality, he said, is the Divine Being: “God and real existence are the same.” And “existence” itself is fulfilling a purpose and moving toward an “ultimate end.” Thus, as his Concerning the End for Which God Created the World makes unmistakably clear, Edwards pushed the theocentric trait characteristic of Calvinistic thought to its limit by making a theocentrism of ends the foremost regulative principle of his philosophical theology. Shooting straight to the point, a theocentric metaphysics of finality – not dispositions – comprises the bedrock of Edwards’ vision of reality. Subsequent to his conversion Edwards no longer troubled himself with the need to reconcile his youthful doubts and disenchantment with the doctrine of God’s self-glorifying, sovereign disposal of creation. Indeed, it was no longer a question for him but an assured worldview. Now the question was vis-à-vis Enlightenment deistic skepticism of historic Christian orthodoxy, How does one express the concept of the immanence of God and His telic purposes of self-glorification in time and space? That is, How does one reasonably explain the “vision” of God transcendent/God immanent with relation to the created order? As we shall see, Edwards’s philosophical answer is presented in the idea of divine comprehensiveness – the product of his overriding principle of theocentrism. For Edwards the idea of God’s comprehensiveness, the notion that God’s very existence encompasses created reality itself, metaphysically explains the what, how, and why of God and His glory and purposes “seen” in everything. Simply put, God’s comprehension of reality is the both the terminus a quo and terminus ad quem of Edwards’s metaphysics. The idea of divine comprehensiveness not only corresponded with his post-conversion theocentric and aesthetic vision, but, according to Edwards, it was Scriptural, Trinitarian in nature, and made sense of passages like, Acts 17:28: “In Him we live and move and have our being.” Edwards also believed it was rational: it provided an accommodating explanation of providence and natural theology, as well as a reasonable (read “rational”) answer to why God created the world. Additionally, it is within the context of his contemplative thoughts about God and God’s relation to reality that, whatever dispositional concepts Edwards may have been introduced to during his time at Yale College, then come to the fore. Tracing the logic of God’s comprehensiveness backwards Edwards quickly came to the conclusion that there must be a perfecting “disposition” within God to supply the impulse by which He communicates the idea of His perfections “externally.” Such a disposition could not be any thing or power apart from God, and so he reasoned that God’s essence must consist of a disposition or a set of dispositions saying, “the diffusive disposition that excited God to give creatures existence was rather a communicative disposition in general, or a disposition in the fullness of the divinity to flow out and diffuse itself.” Though not original to Edwards, he was now to conceive of God as a communicative, self-enlarging being, whose essence communicates its entire ad intra “fullness” ad extra. The ideas of comprehensiveness and disposition, then, are crucial concepts for Edwards’ post-conversion conception of God and His relation to temporal reality. But these ideas do not stand completely outside established formulae of God’s metaphysical relation to reality. Despite his emergent dispositional philosophy, Edwards did not completely depart from the Aristotelian-Scholastic ontology of “substance” as Sang Lee argues. Lee stands correct in certain respects, particularly with regard to matter, but not so of God’s essential being. Lee over-extends his application of Edwards’ employment of ontological dispositions to make God’s irreducible essence a disposition. To be sure, Edwards’ use of dispositions in ontology did begin with a consideration of what in God brought about His creative activities—a certain dynamic disposition. Moreover, Lee is correct to say that Edwards’ dispositional concepts facilitated his reconception of the ontological composition of the Trinity and (with Wallace E. Anderson) that they had radical implications upon how the created order was conceived by him. But neither God nor man is to be thought of only in terms of disposition: Edwards retained “substance” concepts and terminology for both, which, in turn, possess paradigmatic implications not only upon his metaphysics but also soteriology (pace Morimoto and McDermott). Edwards does express, however, that God’s comprehension of reality is the dispositional result of the divine “fullness” or essence. He also reasons that since God’s relation to the created order is founded upon dispositional principles, then the created order must be conceived in like terms of dispositional forces and laws. For Edwards, this meant a re-evaluation of all the created order in light of God’s all-comprehensive reality and ontological structure. The idea of God’s comprehension of reality, along with the ontological arrangement of God’s Trinitarian self, facilitates new possibilities for understanding in Edwards’ thought the existence and function of all intelligent perceiving beings, but with the following criteria: (1) that we allow Edwards to guide us concerning his intellectual positions as he connects them or they manifest their connection with certain events in his life (e.g., his conversion); (2) we do not presume against the evidence, and even Edwards’ oft repeated profession of confessional adherence, that he held contradictory public and private theologies; and (3) we keep in focus the controlling principle of telic-theocentrism and narrative of God’s self-glorification through bilateral redemptive activities characteristic of his philosophical theology. The sudden prominence of Edwards’ theocentrism of ends in his writings from 1723 onwards also compels me to grant that a metaphysical reconception of reality was not at the fore of his intellectual agenda from the start. Rather, it was, as he himself explains, more the product of his post-conversion perspective. His first metaphysical speculations, which probably coincided with his senior collegiate year and graduate studies at Yale (1719-1721), were relatively unimaginative, as he attempted to harmonize favorable points in Locke, Newton, More, Shaftesbury, and others, with his theological heritage. Again, it would appear that his post-conversion perspectives changed this. For immediately after that time, he began to show his originality as a thinker through his creative theology and, coinciding with its development, the modernity of his thought through his dispositional and relational concepts and philosophical idealism. But what his emergent idealism and dispositional concepts revolved around, indeed, facilitated, and were subservient to, was a radically theocentric perspective of reality. Thus, when Edwards embarked upon an idealistic reconception of reality, using dispositional concepts to explain its relevance to a Newtonian world, or when he contemplated the existence and ontological structure of human beings, such thoughts were intended to be consistent with his continuing idea of God, that is, with an established metaphysical foundation. His idea of divine dispositions, for example, is the result of his doctrinally informed, post-conversion perception of God. What is more, we can be sure that his theological (read biblical) presuppositions—such as God’s immutability, eternality, and aseity—color, mold and shape his metaphysical speculations. These uncompromiseable doctrines of Reformed Scholasticism, indeed, even of Augustine, Thomas Aquinas, and Calvin, establish a continuous identification between Edwards’ philosophical theology and his theological and soteriological heritage, while on the other hand they also particularly distinguish his dispositional concepts about God and reality from later process thought and Rylean causal dispositions. END OF CREATION. GLORY OF GOD. When God is said (Prov. 16:4) to make “all things for himself,” no more is necessarily understood by it, than that he made all things for his own designs and purposes, and to put them to his own use. ’Tis as much as to say that everything that is, that comes to pass, is altogether of God’s ordering, and God has some design in it; ’tis for something that God aims at and will have obtained, that this or the other thing is or happens, whatever it be. This quote from a 1732 “Miscellanies” indicates that Jonathan Edwards’s theocentrism consciously entails goal-orientation. His spiritual vision of God “in everything” is not just about the immanence of God, but also God’s “ends” in and for everything. Although the movement of all existences, or what he called “the great chain of being,” is toward some “ultimate end,” yet this did not diminish the fact that “God has some design” in each and every thing “that is, that comes to pass” (Misc. 581). Which is to say, even the most mundane event or minute thing has a divine “end” to it. Theologically the same point can be made at macro and micro levels. Here, Edwards’ eschatology is not simply the culminative part of the historia revelationis, but a normative principle in his systematic approach to dogmatics. At the macro level, his eschatology is theological in its concern for the questions of how God is finally glorified through the created order, and how His will is fully achieved. Edwards’ eschatology is also anthropological and Christological: it moves to a satisfying answer to man’s sin for each individual and collectively. Important to our study, Edwards’ eschatology is cosmological. The study of the last things—whether at the micro level (sinners A and B) or the macro (the end of creation)—is inseparably bound up with God’s design of those things and the telic nature woven into them. Eschatology, then, is really the study of future teleological achievements in Christ but also the Spirit. In Edwards, teleology means that any and all existences act for an end. Telic propensity and orientation, however, are not the result of anything other than God’s design. Even for human beings teleology does not result from human desires per se. Instead, it is ontologically determined by God fashioning human nature as a set of telic-oriented dispositions. For Edwards, God is no interventionist, but an orchestrationist. Edwards is able to manage and organize his telic-cosmology by subsuming the whole discussion under the metaphysical rubrics of causation and being. By delegating all causal occurrences to God’s power, he ensures that the ends of creation—in every instance—will attain in full (that is, that they will be God-glorifying and contribute to the “ultimate” end of creation). Precisely how God does this is by creating all things to function in a lawlike way. What ensures that such and such a thing always attains to God’s desired end(s) is its dispositional constitution. God fashions, as it were, a network of existences composed of lawlike dispositional forces, which we know as the universe. Yet God is also in those things in some way, namely, in power. And if we, like Edwards, identify the “power” of lawlike dispositions with God, then we can say with him that God Himself gives causal occurrence and existence to all things. God, then, designs His own causal efficacy into the very structure of existence: the power of God along with the beauty of God makes up the matrix of spatiotemporal reality. Edwards realizes that seeing God merely present in everything is not enough to effect the ends God designed for creation. God must be the causal force behind the universe. For him, nothing else could be properly theocentric, nor satisfy his desire to offer an “orthodox” Christian response to the materialists and deists. This is how Edwards wound up using the “new learning” of John Smith, Shaftesbury, Locke, More, and others, numbered among the tomes of Yale’s “Dummer Collection” to the advantage of confessional Christianity. So, for Edwards, lawlike dispositions account for both the effect of creation and its movement toward a unified end. His whole conversation about divine pancausality is, in essence, another way for him to articulate God’s all-encompassing being, to get at a “theory of everything” vis-à-vis nouveau Enlightenment religion and worldviews. Now that a spiritually perceptive Jonathan Edwards “saw” the divine presence in the world of physical phenomena and was willing to say, like Malebranche, that God is the only true causal agent, there were several things that required explanation: for example, the status of material bodies within the matrix of divine beauty. How would he explain God’s inclusivity while conscious of the standard Newtonian conception of material bodies, which he learned at Yale College? What role would dispositions have in the realm of physics and aetiology? In this article I shall endeavor to reflect on how Edwards’ “spiritual vision” of God reveals the Divine Being present “in everything” in terms of knowledge, essence, and power. The understanding he receives from this vision, confirmed by the content of Scripture and mature deliberation, reveals that God’s presence is all-encompassing, intentional, and fixed toward particular “ends” and even an “ultimate end.” The upshot of this understanding meant that Edwards’ metaphysics would need to be orientated in a way that corresponded with God’s telic and cosmologic relation to reality. First, however, we shall look at how he recapitulated his “vision” of God in his doctrine of God. As we shall see, the outcome of his doctrine of God is an “all-comprehending Being.” What Edwards means by “comprehension,” however, is something far more nuanced than the Divine Being’s omniscience: it is something of a technical term that includes not just the knowledge of God, but His essence and power. Thus, for Edwards, God’s comprehensiveness becomes the backdrop for metaphysical speculation, the “supposition” of metaphysics. The sections that follow the discussion on God provide a series of brief explications on how Edwards attempted to explain God’s metaphysical presence with “everything.” Sang Hyun Lee has given a great deal of attention to explaining Edwards’ reconception of metaphysical reality in terms of disposition. Lee provides detailed treatments of causality, material entities, and significantly, sentient beings. My work here attempts to harmonize as well as correct some of Lee’s findings on dispositions with Edwards’ idealism and doctrine of “comprehensiveness.” Harmonizing these concepts should, no doubt, prove contributory and corrective for future discussions surrounding Edwards’ philosophical theology, soteriology, and remaining branches of systematics. The movement of the article is one that attempts to show how pervasive his spiritual and then “rational” principle of God-at-the-center affected the way he thought of “everything” from cosmology to causality, from matter to man. Because God is for Edwards, “the head of the universal system of existence; the foundation and fountain of all being,” as well as the center and first thing perceived by his spiritual sense, we start our discussion of how he was to formulate a theocentric metaphysics with a closer examination of his conception of God. Edwards proposes that God may be perceived immanently present due to His actual presence in created reality. The world is not God and God is not “it,” yet the world is an extension of divine “excellency” or beauty and the result of His immediate power, established as an externalized matrix of God’s Trinitarian excellencies. Thus, “God is the sum of all being, and there is no being without his being; all things are in him and he in all.” And while this implies panentheism (not pantheism), the concern at present stresses the fact that metaphysical reality for Edwards is the reality of God, an ideal reality, which when communicated or “emanated” in other minds constitutes the idea of created existence, and when apprehended spiritually (and therefore affectionally) in a union of mutual consent manifests the beauty of divine excellence or, in other words, God ad extra. How, then, does Edwards begin with God? His earliest and preferred form of discussion comes in slightly modified variations of the ontological argument for the existence of God. Not unlike the arguments presented in Samuel Clarke’s Discourse and Malebranche’s Search After Truth, Edwards’ apophatic argument appears early and frequently in his various notebooks. It is important to remember that nearly all of his theological and philosophical notebooks were begun after his conversion and, as one of their purposes, served as repositories for some given project or projects. The “Miscellanies” and “The Mind” notebooks were first given to a proposed treatise entitled, “A Rational Account of the Principles and Main Doctrines of the Christian Religion.” He intended this treatise to offer not just a systematic theology but also a demonstration of the rationality or reasonableness of Christian doctrine, even the particularism of Calvinism. Though the “Rational Account” project was abandoned for another by 1740, both notebooks retain his preparatory thoughts for such an undertaking. Consequently, we find in them “rational proofs” for the existence of God, usually argued from the position of classical apologetics. But while the ontological arguments that Edwards laid to form the foundation of his aborted project of reasoned Christianity eventually failed to produce the enduring results he had initially intended, yet because these arguments were more dynamic than mere conventions of deductive apologetics they retained an enduring purpose and effect in his system. Important to Edwards in these early “Miscellanies” and “The Mind” entries was the rational establishment of a metanarrative for the Christian religion and all reality, which he found in God’s spatiotemporal program of self-glorification. Furthermore, the refinement of this metanarrative helped him to determine which kind of theocentrism (whether a theocentrism of origins, of religion, of ends, etc.) would be the regulating factor in his philosophizing and theologizing. The notebooks, then, were the place he harmonized the truths of the Bible, the spiritual vision of God, and those derived from scientific and philosophical discovery, whether from Newton or Locke or whomever. In them we find that God’s “arbitrariness” (not capriciousness, but God unconstrained by laws, where laws are a lower level of constructed reality, possessing less relational “excellency” or being) is no longer a difficulty for Edwards, as it was for the Cambridge Platonists. Following his conversion, the spiritually sensible Edwards appreciates its “fittingness.” A great number of entries are therefore given to explaining and unfolding the reasonable implications of this theocentric perspective. Thus, God is brought into time and space through His relation to created existences, causation, motion, the conservation of matter, intelligent beings, and especially redemption. Indicative of Enlightenment concerns, the issue of causation stands prominent in many of his notebook entries. In them Edwards makes every existence an effect of God’s necessary and eternal existence. In addition to his “theocentrism of origins” (where all things originate with God), causation serves as another way to introduce divine immanence. In Edwards’ aetiology the effect of created existence has no power within itself to sustain a continued existence. Therefore God, or at least His power, must be immediately and continuously present if there is to be a universe: He is the eternal sine qua non of all existence – powerfully present throughout all reality, producing the effect of existence each and every moment. [I]t is evident, by both Scripture and reason, that God is infinitely, eternally, unchangeably, and independently glorious and happy; that he stands in no need of, cannot be profited by, or receive anything from the creature [or creation]; or be truly hurt, or be the subject of any sufferings or impair of his glory and felicity from any other being. Consequently, what some brusquely call the “full-bucket theory” of God is for Edwards nothing but the orthodox doctrine of divine self-sufficiency. Both the natural and moral attributes of God are eternally perfect, unchangeable, and necessary. Accordingly, Edwards defines God’s eternality in the familiar language of classic orthodox theology: “[T]he eternity of God’s existence … is nothing else but his immediate, perfect and invariable possession of the whole of his unlimited life, together and at once; vitae interminabilis, tota, simul et perfecta possessio.” This, Edwards says, is “so generally allowed,” that he “need not stand to demonstrate it.” Theological meliorism, “open theism,” and “new model” proposals of select contemporary theologians, which advance notions of the passibility and/or “openness” of God, are utterly foreign to his understanding of a plausible, that is to say, biblical theological paradigm: “The notion of God’s creating the world in order to receive anything properly from the creature [or creation] is not only contrary to the nature of God, but inconsistent with the notion of creation.” He reasons that a created order implies a being or entity receiving its existence, “and all that belongs to its being,” ex nihilo, “and this implies the most perfect, absolute and universal derivation and dependence.” Therefore, “the being and excellence of the creatures is not something added to that of the creator but all the being and excellence that is in them is comprehended in His being and excellence for they are but communications from Him.” For in God there exists an infinite fullness, “a fullness of every perfection, of all excellency and beauty, and of happiness.” In Edwards’ way of thinking, any investigation into the foundations of cosmology, teleology, aetiology, or timology, ultimately terminate in ontological considerations of God. God’s existence provides the unity and harmony of “being” upon which Edwards grounds his analogies and argues for ‘evidences of harmony in nature.” Such is the scope of Edwards’ theocentric reasoning. The idea of God’s necessary existence and immanent power/presence gains philosophical sophistication when Edwards, like Malebranche, identifies God with the metaphysical referent, “Being in general.” God as “Being in general” emerges as a key metaphysical concept through which the created order is understood with relation to God’s extension. God is the immediate apprehension of being, as well as the power and essence of being. Generated existences are, then, an extension of participation in Being. In Edwards, participation in God and participation in being or existence come to the same thing. If “Being in general” is thus understood, it would be easy to conclude a diminution of existence and value the further created entities were from the “source” of being, just as Thomas Schafer indicates. Indeed, Edwards seems to indicate this with his ostensibly Neoplatonic system of “scales or series of created existences.” But the “great chain” or “scale” is only descriptively Neoplatonic. Substantiality (i.e., mental realness) and value of being are not measured in terms of proximity to the “source of being,” but according to degrees of excellency and perfection. Even when Edwards employs his emanationistic phraseology (e.g., “emanate,” “diffuse”), “Being in general” should not be construed as a kind of gray scale, for it has structure. Without structure, in terms of a variety of distinguishable existences with qualitative and even quantitative differentiations, Edwards would of course run the risk of pantheism. But qualifiers are present. The design evident in the structure of being and the laws that govern it is nothing less than the analogia entis among all the orders of creation. With the idea of “Being in general” Edwards ontologically links all existences to that one necessary and all-encompassing existence, God. He does so not only through the aesthetic and relational feature of excellency, but also power – the activity or promotion of being. Together excellency and power comprise the structure of existence, the matrix of perceived reality. In short, sharing in the “excellency” or beauty of God is the same thing as sharing in existence itself—“Being in general.” To put it differently, existence for created entities consists of existing as an instance of divine “excellency” or, as Edwards states it, “being-as-manifest.” Thus, “Being in general” and the matrix of divine beauty (or “being-as-manifest”) are in essence the same thing. The power of being that effects ontological instances of “excellency” is the power or being of God. Edwards now possesses a conceptual, theocentric metaphysical foundation by which he may begin to explain God’s “comprehensive” (or panentheistic) relation to everything. It is to these panentheistic implications that we shall next direct our attention. The Rev. John J. Bombaro, PhD (Univ. of London) is parish priest at Grace Lutheran Church in downtown San Diego. He also lectures in the Theology and Religious Studies Department at the University of San Diego. He can be contacted at bombaro@sandiego.edu. Lee, the Kyung-Chik Han Professor of Systematic Theology at Princeton Theological Seminary, has written the “Editor’s Introduction” to Writings on the Trinity, Grace, and Faith, Volume 21, The Works of Jonathan Edwards (22 vols., New Haven: Yale University Press, [1957-] 2003) (hereafter, Yale-Works), a seminal monograph and several principal articles on JE’s dispositional conception of reality. (Princeton: Princeton University Press, 1988 [rpt. 2000]). Hereafter, Philosophical Theology. Lee, Philosophical Theology, 4, 77. Lee, Philosophical Theology, 175-85; “Jonathan Edwards on Nature,” in Faithful Imagining: Essays in Honor of Richard R. Niebuhr, eds. Lee, Wayne Proudfoot, and Albert Blackwell (Atlanta: Scholars Press, 1995), 40-42; “Editor’s Introduction,” Yale-Works, 21: 8-9, 13-17, 57-58. “Subjects to be Handled in the Treatise on the Mind” Nos. 36 and 50, Yale-Works, 6:391, 392. Morimoto, Jonathan Edwards and the Catholic Vision of Salvation (University park: Pennsylvania State University Press, 1995), 55. Hereafter, Catholic Vision. Morimoto, Catholic Vision, 55. Cf. Lee, Philosophical Theology, 50. Ibid. Cf. Lee, Philosophical Theology, 40, 44. McDermott, Jonathan Edwards Confronts the Gods: Christian Theology, Enlightenment Religion, and Non-Christian Faiths (Oxford and New York: Oxford University Press, 2000), 3, 12-13. See McClymond, Encounters with God: An Approach to the Theology of Jonathan Edwards (Oxford and New York: Oxford University Press, 1998), 61-64; Homes, God of Grace and God of Glory: An Account of the Theology of Jonathan Edwards (Edinburgh: T&T Clark, 2000), 165, 240. McDermott’s thesis corresponds with Oliver Crisp’s arguments for “Augustinian universalism.” See Crisp, “Augustinian universalism,” International Journal for Philosophy of Religion 53 (2003): 127-45. McDermott’s principal monograph on this subject promises “A Strange, New Edwards” but the delivery is short. In later publications McDermott has softened and qualified his provocative thesis from Jonathan Edwards Confronts the Gods. See, e.g., McDermott, “Response to Gilbert: ‘The Nations Will Worship: Jonathan Edwards and the Salvation of the Heathen,’” Trinity Journal 23NS (2002): 77-80; and “Edwards, Missions, and Native Americans” (unpublished paper delivered at the conference “Jonathan Edwards the Theologian,” 10-12 April 2003, Princeton, NJ). For a critical assessment of Morimoto’s Catholic Vision see John J. Bombaro, “Jonathan Edwards’s Vision of Salvation,” Westminster Theological Journal 65 (2003): 45-67; and the principal thesis of McDermott’s Jonathan Edwards Confronts the Gods, Bombaro, “Dispositional Peculiarity, History, and Jonathan Edwards’s Evangelistic Appeal to Self-Love,” Westminster Theological Journal (forthcoming Spring 2004). The claim that theocentrism is the principal organizing concept in JE’s thought is not an overly reductionistic statement. For JE, theocentrism is not a monodimensional doctrine; it is a genus with many species, which, having enveloped any number of disciplines, terminate in some God-centered idea. Scholars are beginning to form a consensus to this end, see for instance, John E. Colwell, “Jonathan Edwards” in The Dictionary of Historical Theology, gen. ed. Trevor A. Hart (Carlisle, England: Paternoster Press, 2000), 175; Stephen R. Holmes, God of Grace and God of Glory, 22-23, 244-45; McClymond, “God the Measure: Towards an Understanding of Jonathan Edwards’ Theocentric Metaphysics,” Scottish Journal of Theology 47 (1994): 43-59. See Bombaro, “Beautiful Beings: The Function of the Reprobate in the Philosophical Theology of Jonathan Edwards,” University of London, Ph.D. diss., 2002, 48-52. “The Mind” No.15, Yale-Works, 6:345. See Concerning the End for Which God Created the World, Yale-Works, 8:526-36 et passim. Personal Narrative, Yale-Works, 16:791-92. Cf. “Miscellanies” No. 654, Yale-Works, 18:196. Avihu Zakai, “The Conversion of Jonathan Edwards,” Journal of Presbyterian History 76 (1998): 127-38. JE’s theological answer to this question is found in his Trinitarian account of creation (vid. Amy Plantinga Pauw, The Supreme Harmony of All: The Trinitarian Theology of Jonathan Edwards [Grand Rapids: Eerdmans, 2002] and Stephen R. Holmes, God of Grace and God of Glory, 31-76). By “comprehensiveness” I mean the sense in which God’s being includes, overlaps, and exists through the created order. George Rupp and Sang Lee both use the term “coextensive” and therewith indicate that God’s being actually extends in the created order. As we shall see there is a sense in which JE indicates that God extends Himself in the created order. But to use the terms “coextensive” or “coextend” creates a series of philosophical difficulties by giving God dimensional and numerical boundaries in time and space. In my use of “comprehensiveness” I seek to maintain JE’s differentiation between the being of God and the created order, as well as uphold the ontological priory he gives to God. Furthermore, unlike “coextend,” “comprehensive” is a term and idea used by JE in this connection. Rupp, “The “Idealism” of Jonathan Edwards,” Harvard Theological Review 62 (1969):209-26, 214; Lee, Philosophical Theology, 170f. Cf. MS sermon on Psalm 139:7-10 (1727) (The Jonathan Edwards Collection, Beinecke Library, Yale University). End of Creation, Yale-Work, 8:434-35. Although expressed here in the mature reflection of End of Creation (c.1754, posthumously published 1765), JE had been articulating this idea since 1723, if not before. See, e.g., ‘Miscellanies” Nos. 87, 92, and 107[b] in Yale-Works, 13. See, e.g., the Cambridge Platonist John Smith’s “A Discourse Concerning the Existence and Nature of God” in Select Discourses, ed. J. Worthington (Cambridge, 1660; 2nd ed., 1673). See Anderson, “Editor’s Introduction,” Yale-Works, 6:121-27. End of Creation, Yale-Works, 8:433; “Miscellanies” No.553, Yale-Works, 18:97. Thomas A. Schafer points out that Sereno Dwight’s assignment of “Of Being” in its entirety to JE’s early years has encouraged many scholars to produce work showing JE’s dependence on Locke and Berkeley for these conclusions. “But,” Schafer explains, “it seems clear that Edwards evolved his so-called ‘idealism’ without the benefit of Locke’s [or Berkeley’s] ideas, against the background of his own previous conclusions about matter and more directly his own single-minded contemplations of God and his works” (“Editor’s Introduction,” Yale-Works, 13:46-47). Schafer’s position has rightly become the consensus among scholars. End of Creation, Yale-Works, 8:546 and 546 n.6. Interestingly, however, JE never comments on the nomic principle Malebranche uses in his theodicy, viz. that God always acts in the simplest way possible, that is, through lawlike general volitions. In Principia Mathematica (London, 1713), Isaac Newton explained that material bodies were masses composed of hard particles (480-86). The Nature of True Virtue, Yale-Works, 8:551. “The Mind” Nos.1 and 45, Yale-Works, 6:332-38, 362-66. Schafer, “The Concept of Being,” 93. For an outline of the “Rational Account” see Yale-Works, 6:396-97. Ave Chamberlain, “Editor’s Introduction,” Yale-Works, 18:29-31. In JE, aesthetic referents such as “fittingness” have ontological as well as epistemological import. See, e.g., “The Mind” Nos.1 and 45, Yale-Works, 6:332-38, 362-66. “Miscellanies” No.pp and 124, Yale-Works, 13:188, 288. Cf. Michael Jinkins, “‘The Being of Beings,’” Jonathan Edwards’ Understanding of God as Reflected in His Final Treatises,” Scottish Journal of Theology 46 (1993): 161-90, esp. pp. 174-76. “Things to be Considered an[d] Written fully about,” No.47 and “The Mind” No.27, Yale-Works, 6:241-42, 350-51; “Miscellanies” No.880, Yale-Works, 121-139. “Miscellanies” No.650, Yale-Works, 18:190-91. Cf. Anselm’s idea of aseitas in Monologion. Yale-Works, 8:420. MS sermon on 1Tim. 6:15 (1738): “DOC. God is a being possessed of the most absolutely perfect happiness” (The JE Collection, Yale Univ.). JE quotes from Andrew Baxter to say that “God is … vitae interminabilis …” (Baxter, An Enquiry into the Nature of the Human Soul, 3rd ed. [2 vols., London, 1730? ], 2:409f). MS sermon on Num. 23:19 (1729): “God is Immutable … an unchanging being” (The JE Collection, Yale Univ.). Yale-Works, 8:420. Cf. “Miscellanies” No. 679, Yale-Works, 18:237-39. MS sermon on Rom. 1:20 (1743) (The JE Collection, Yale Univ. ), 1. Cf. “Miscellanies” No.448, Yale-Works, 13:495-96. Yale-Works, 8:432-33. “I shall often use the phrase ‘God’s FULLNESS,’ as signifying and comprehending all the good which is in God natural and moral, either excellence or happiness” (434-35 n.7). “Miscellanies” No.1263 in The Philosophy of Jonathan Edwards from His Private Notebooks, ed. Harvey G. Townsend (Eugene: University of Oregon Press, 1955), 193. Schafer, “The Concept of Being,” 95f. Elsewhere: “great chain.” Douglas J. Elwood denies a “chain” or “scale of being” in JE’s thought (The Philosophical Theology of Jonathan Edwards [New York: Columbia University Press, 1960], 28). But see, “Miscellanies” Nos. tt and 1263, Ms sermon on Ezek. 15:2-4 (1744) (The JE Collection, Yale Univ. ), and Yale-Works, 8:546 n.6, to the contrary. Cf. Clyde Holbrook, “Editor’s Introduction,” Yale-Works, 3:42. In End of Creation, Yale-Works, 8:433 n. 5, Paul Ramsey raises the question of how JE’s use of “emanation” or “diffusion” should be understood—whether as Neoplatonic or not? He explains that JE’s usage of imagery, such as the sun or fountain (433), is always employed in the context of communication. Furthermore, such images were intended to be biblical illustrations, not Neoplatonic. Thus, JE’s meaning of communication governs the use and meaning of emanation and diffusion. JE’s unusually circumspect language in the employment of images typically employs verbal qualifiers, such as: “in effect” and “as it were.” Ramsey’s conclusion is supported by Claghorn’s evaluation of JE’s use of “emanation” in “The Mind” No.45 (see Yale-Works, 16:632). Likewise, Holmes’ Trinitarian account of JE’s doctrine of creation renders a Neoplatonic reading of JE implausible (God of Grace and God of Glory, 44-59). Schafer, “The Concept of Being,” 96-97. “Miscellanies” No.651, Yale-Works, 18:191-92. Though in one place JE says that God is “Ens Entium” with respect to bodies (Yale-Works, 6:238), yet his application of God’s all-encompassing being extends to all existences. For instance, in “The Mind” he says “God and real existence are the same” (345). “Miscellanies” No.27a, Yale-Works, 13:213. Cf. “Natural Philosophy” No.44, Yale-Works, 6:238. “The Mind” Nos. 1 and 45, Yale-Works, 6:334-36, 362-66. “The Mind” Nos. 29 and 34, Yale-Works, 6:352, 353.